Warning: While this review is largely spoiler-free, it briefly mentions a few aspects of the show’s premise that might qualify as minor spoilers for the (lengthy) pilot under a strict definition. I’ve done my best to minimize this by focusing on structure and themes, but it is difficult to avoid altogether. Some of the links may contain more substantial spoilers, so please click at your own risk. Unlike many Gargoyles fans, I was introduced to it via TV Tropes rather than the more conventional route of “watched it when I was a kid.” The latter is apparently rather common for my generation, but I was just a little too young. Moreover, I was raised on Cartoon Network and Nickelodeon, instead of the Disney Channel, so I probably wouldn’t have seen it anyway. Instead, as an adult I wanted to know who this “Xanatos” person was and why his gambits were apparently so foolproof. I started watching the show and rapidly found myself addicted. Seeing as most of us have never heard of Gargoyles, it might help to start with a definition. 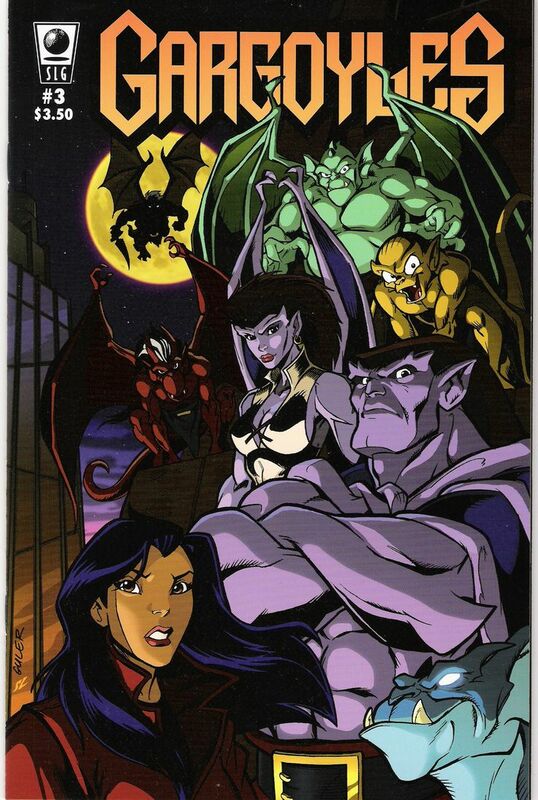 Gargoyles is an animated urban fantasy series, with some superhero undertones, primarily set in Manhattan. It originally aired in the mid 90’s and largely took place in the then-present. Many parts of Manhattan were substantially more dangerous at that time than they are today, and so the series is a bit of a period piece by modern standards. Fortuitously, however, this works in the show’s favor: the perception of heightened crime is a necessary backdrop for any crime-fighting story to work. You can’t have Batman without Gotham.